Sorry folks, for now this is youtube only but i’ll try and get a version up on a local video site. 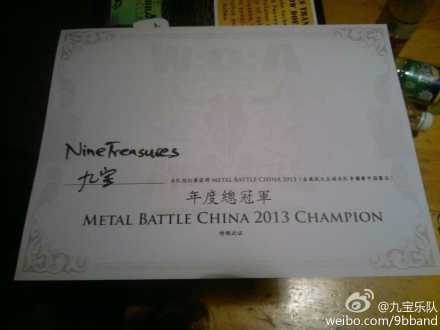 Here is nice video documentary/interview with Nine Treasures (jiu bao) following their appearance at Wacken. did i mention that i dig these cats? They are under the wings of Hanggai and SX-Media so I do expect them to get up to some big things sooner than later. I mean you don’t go from playing small time clubs to Wacken unless you got something special…and they got it.